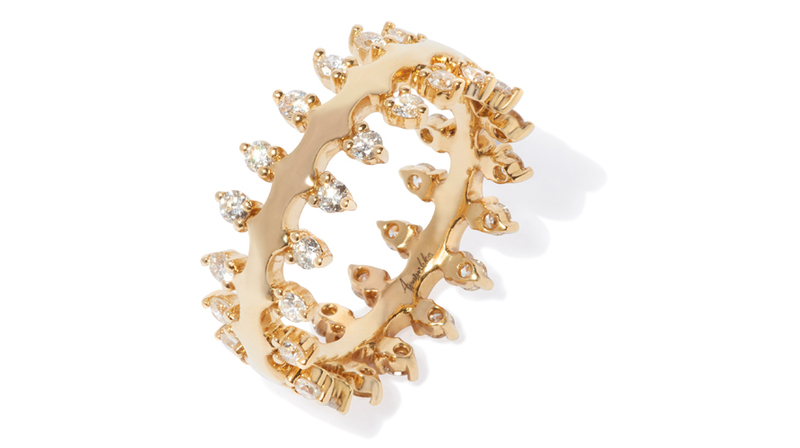 The crown is an iconic symbol for Chelsea jewellery designer, Annoushka and the Crown collection is an evolving, collectable series of interlacing rings that can be endlessly combined to suit different personalities and moods. 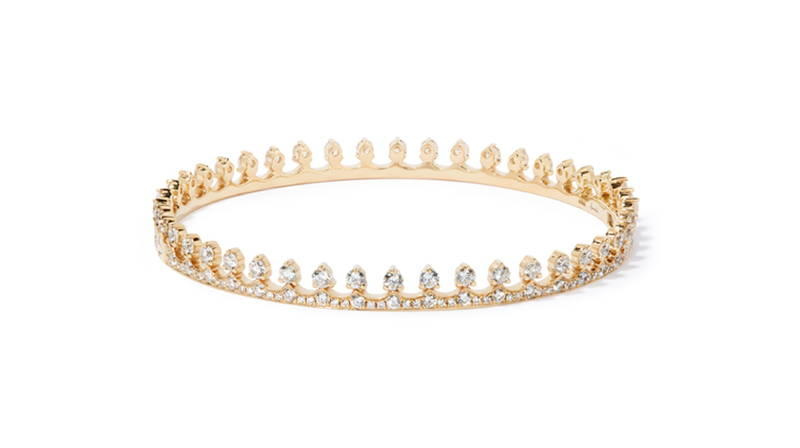 This spring she adds four new designs to the collection in rose gold, white gold, yellow gold and white gold with diamonds, as well as presenting four bangles in the same pioneering design. Featuring delicate castellations in hues of polished gold or black rhodium, the rings can be singly, back-to-back or linked together to form an elegant, textured tracery, communicating a fresh attitude with each new permutation to wear as you wish. The Crown rings are full of possibility, symbolising union as well as strength, and uniquely adaptable as engagement, wedding and eternity bands. Like the rings, the bangles can be stacked together in a myriad of different ways, further extending the intricate playfulness of the collection. Shop now online or in store.